Silver Spring, MD, Tuesday, April 10, 2018 /3BL Media/ – A short video message from teens to their peers to encourage safe driving habits might be all that is needed to avoid dangerous driving situations. That is the premise behind the Toyota TeenDrive365 Video Challenge, which drew more than 1,300 entries from students across the country. 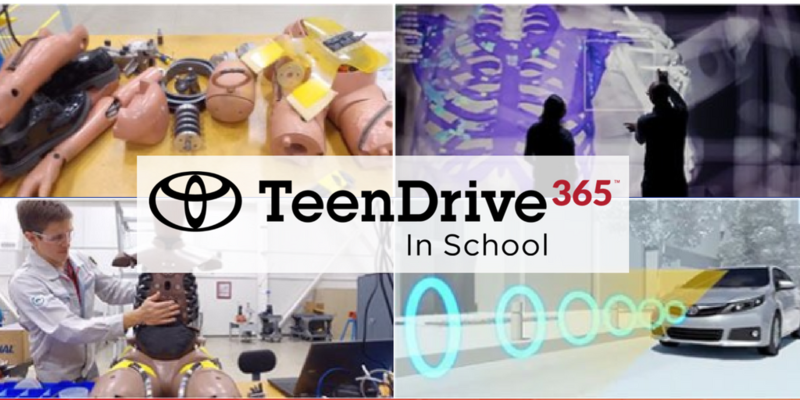 Toyota and Discovery Education invite the public to watch the ten finalist videos at teendrive365inschool.com/teens/video-challenge and VOTE for their favorite winner through April 24, 2018. This year’s top ten finalists come from Colorado, Maryland, Massachusetts, Minnesota, New York, North Carolina, South Carolina, Texas and Utah. 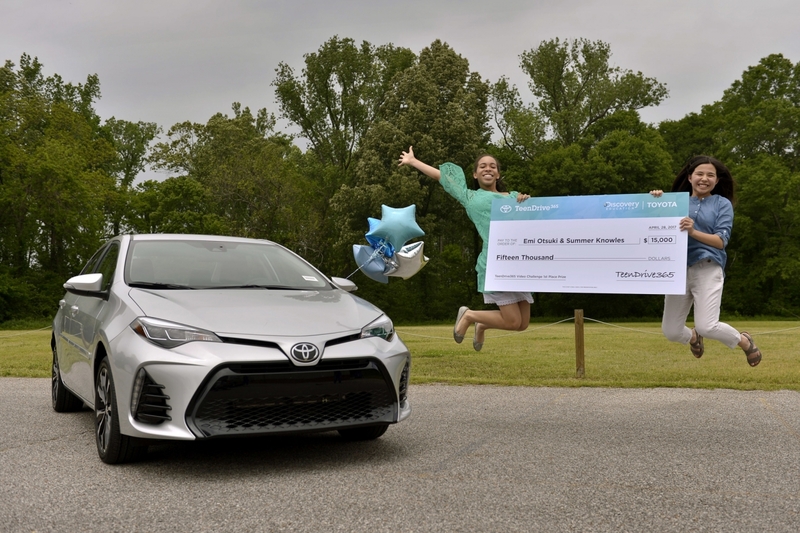 In addition to the People’s Choice winner, several other prize winners will be chosen by a panel of judges comprised of community leaders, educators, communications experts and Toyota representatives. The first-place winner will receive $15,000 and the opportunity to work with a Discovery film crew to transform their video into a TV-ready PSA that will then air on a variety of Discovery, Inc. networks. Last year’s grand prize went to Emi O. and Summer K. of Millington, Tennessee. Their video featured a safe-driving medley that communicated vital driving tips, including cautions about the dangers of texting and driving, the necessity to focus on the road while in motion and the importance of wearing seatbelts. The re-created PSA can be viewed HERE. People's Choice prize: $5,000 and a behind-the-scenes trip to a Discovery, Inc. network taping. Visit TeenDrive365InSchool.com to learn more about the annual Teen Video Challenge to help promote safe teen driving. For more information about the TeenDrive365 Video Challenge or to watch winning videos from the 2016-2017 challenge, visit TeenDrive365InSchool.com or click HERE. TeenDrive365 is a comprehensive program designed by Toyota and Discovery Education to help teens avoid distractions and stay safe behind the wheel. The initiative offers a range of content, tools and resources designed specifically for educators and teens. Available at no cost to classrooms nationwide, these resources include: standards-aligned lesson plans for grades 9-12; activities that teach appropriate behaviors for young drivers and passengers; Heads Up! – an Interactive Road Distraction Challenge that allows teens to virtually experience some of the dangers of distracted driving; and a collection of online events, tools and social media elements that underscore how teens can make a difference by driving safely.